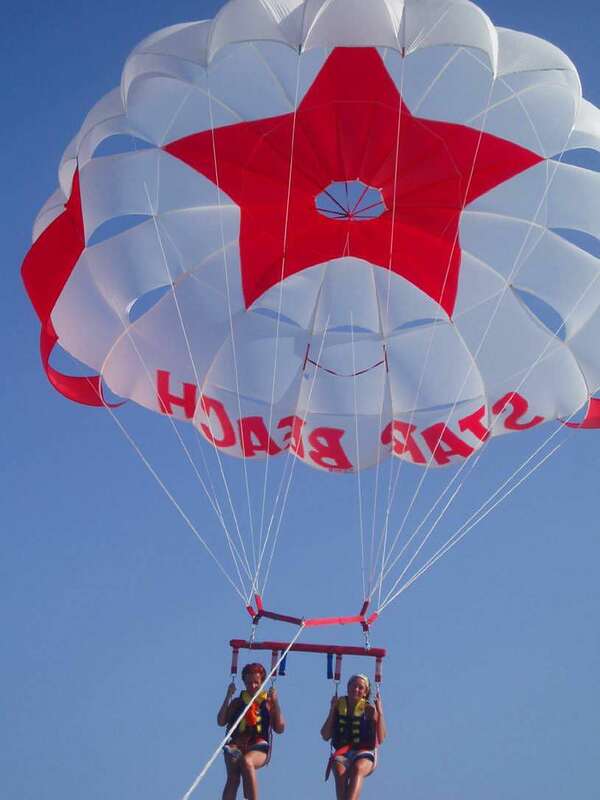 1/2-person parasail - CHINOOK 34 "beach"
The all new Chinook 34 superseeds the original 1975 designed Jumbo 32 parasail manufactured by us until the late 90’s. 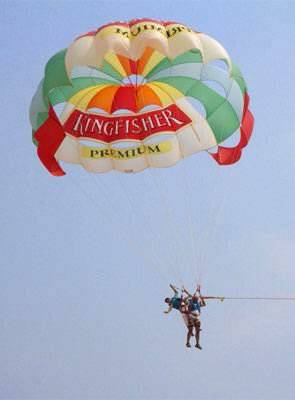 The new Chinook 34 model is designed for flying directly from the beach or a fixed platform and is ideal for single or heavier double flights to light weight triple flights for commercial operators or heavy weight family use for private owners. Our new 2014 beach range offer parasails for 25ft to 42ft and due to their new design, they allow beach or platform operators to fly larger parasails with greater weight carrying capacity in all conditions saving fuel and energy.It is also ideal for the family user wanting to fly singles or light doubles. 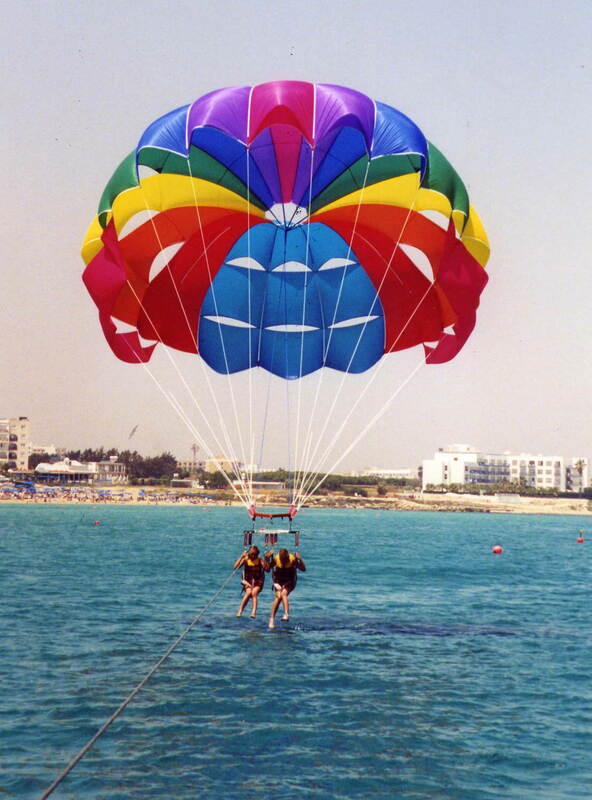 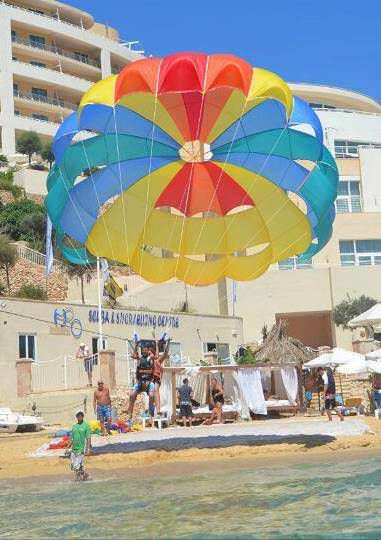 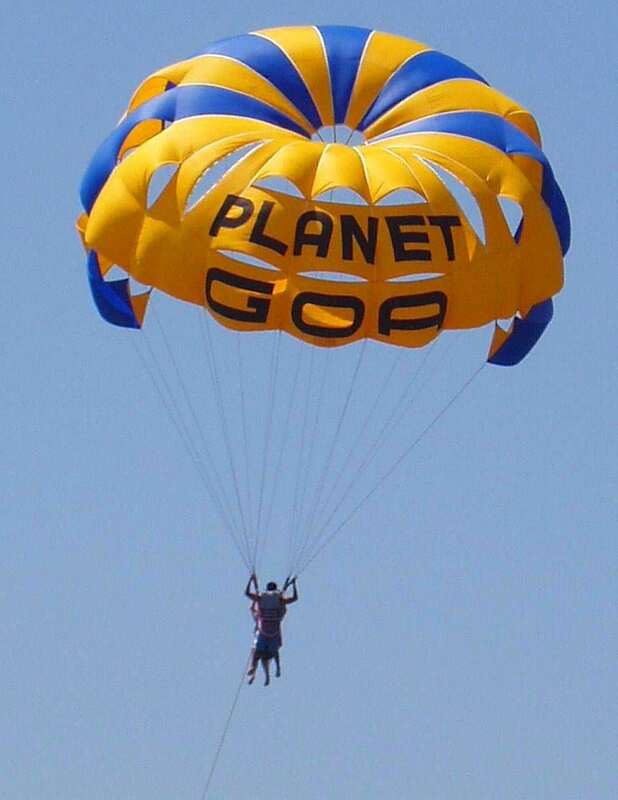 custom parasail / 1/2-person STANDARD 25 "beach"
1/2-person parasail MISTRAL 27 "beach"
custom parasail / 1/2-person TRADE 30 "beach"
custom parasail / 1/2-person SUPER TRADE 32 "beach"
1-3 persons parasail SUPER CHINOOK 36 "beach"
custom parasail / 1-4 persons SUPER CHINOOK 38 "beach"